After a long (10 hour) drive, we arrived at Ed’s place right before sunset and got to start out with a spectacular sunset. Brian was irritated at me for taking pictures instead of helping him put up the camper, but sunsets don’t wait. There’s a quarter moon halfway across the sky heading for full and we had brats on the grill and talked under its light. The only man-made light is a neighbor in the distance in one direction and the occasional car crossing a pass 10 miles away. The only sounds not made by nature are our voices. Just reminds me how loud my tinnitus is. Woke up to a pair of Ed’s raven friends conversating about us. The desert smells of creosote bushes and fresh air. And then I realized, I forgot to pack coffee. Crap. But Ed saved the day and checked to see if he needed to make enough coffee for us too. Ok, I’m better now. After breakfast, we headed out in the Xterra to a place called Top of the World, down and up some really gnarly rocky roads. Brian gives the Xterra an excellent off road rating. The view was everything you would expect from a place with that name. When we got back, it was off to the Starlight Theater for dinner and then a beer on the front porch with the locals. That is THE happening scene in the Ghost Town. Dogs, hula hoops and a jam session with guitar and ukulele that ranged from an old Bob Marley tune through Neil Young all the way to a song about homegrown tomatoes. The next day, Ed had to go work a job in Lajitas, so Brian and I visited the Terlingua ghost town and walked around in the cemetery which is still being used. 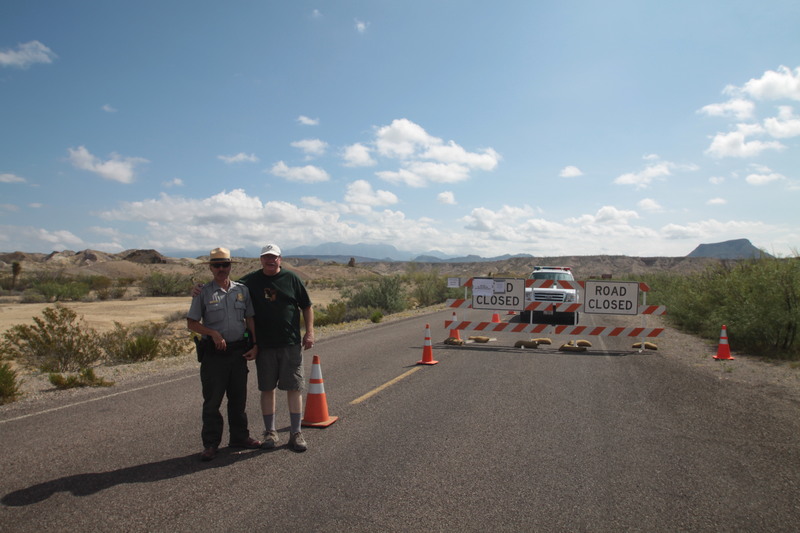 Then we went into Study Butte and visited the grocery store and then drove in to the National Park entrance. A very nice park ranger got out of his truck and talked to us a bit and then we turned around and drove back the way we came. We went all the way to Lajitas and had lunch at the little market there. A guy named Billy made our sandwiches and they were very good. We came back and Ed got home and cooked dinner on the grill. It rained for a little while, enough to run off the roof and into the rain barrel. Watching lightening across the desert was fun too. Tuesday, we drove up to Christmas Mountain. You have to get a permit and only one auto is allowed up at a time. That is because the track is one car wide most of the way, with one side of the road dropping off down the mountain and the other side straight up. We got to the top and could see where Ed’s place is. That road really put the Xterra through it’s paces and she came through with flying colors. Four miles took us about an hour. Four miles up and four miles back down. 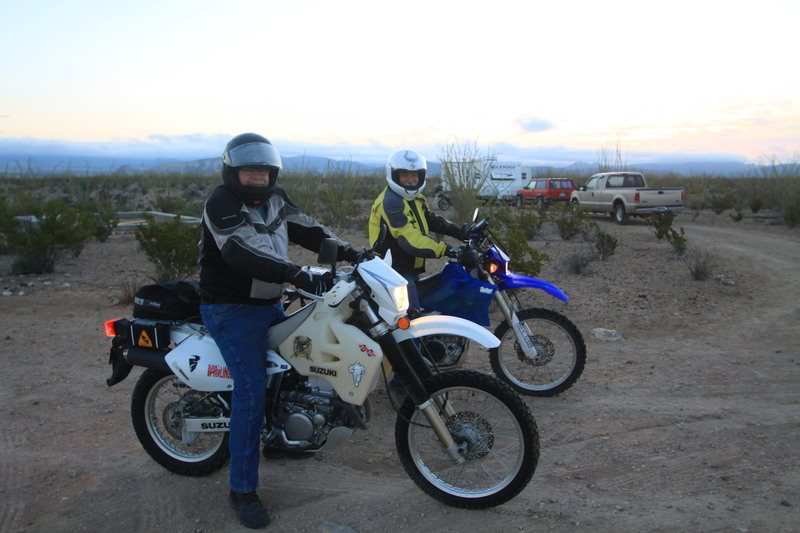 And then an hour or so to get to Terlingua Ranch from Ed’s place. 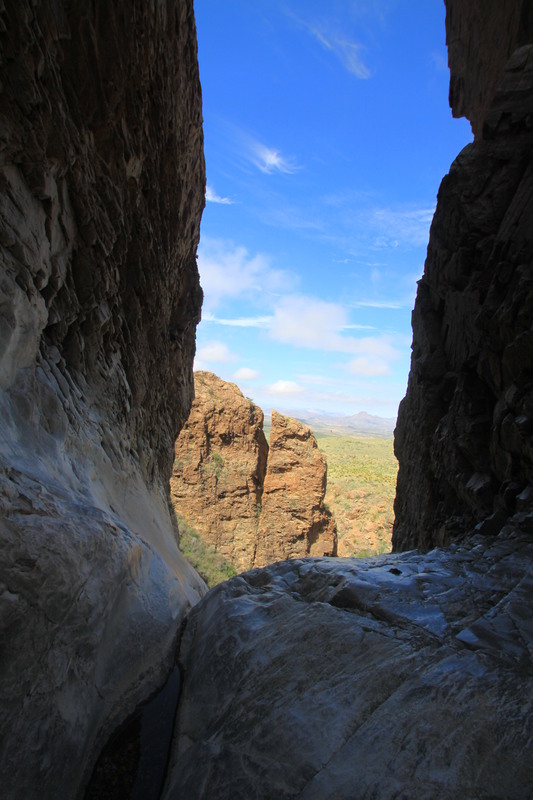 We had sandwiches at a flat place that overlooked the Chisos Mountains and the national park. That is the road. No, really. There are clouds and the wind is out of the north. Tonight is probably going to be chilly. I cooked spaghetti and we listened to Marfa Public Radio for a while until the music got just too bad. Then we listened to the light rain falling on the trailer roof. It didn’t last long or rain hard but it was still nice. Damp and cloudy again Wednesday morning. 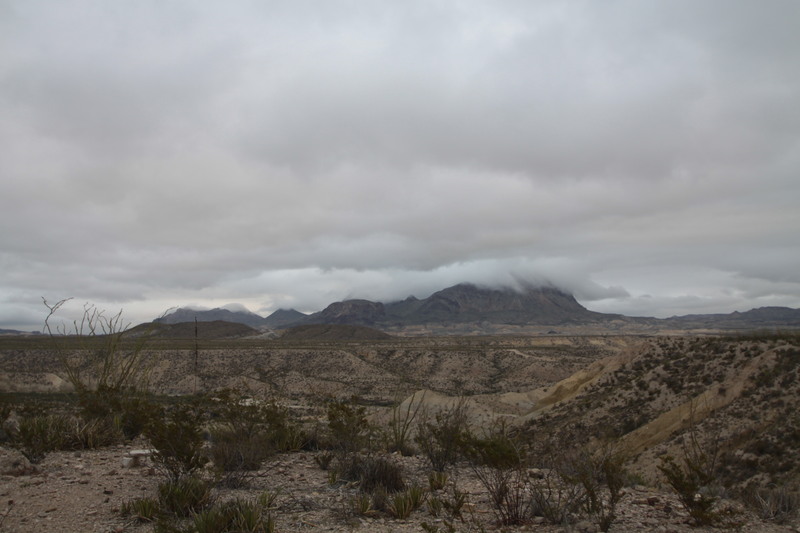 Hen Egg is wearing a hat of clouds, Christmas Mountains only show the base and Chisos are completely hidden. You wouldn’t think of the desert as being humid but the last couple of days have been. Don’t know if enough rain has fallen to make any difference in the water tanks. I drank some rainwater last night, Ed jokingly calls it cloud juice. It is so pure, it tastes like drinking the sky. 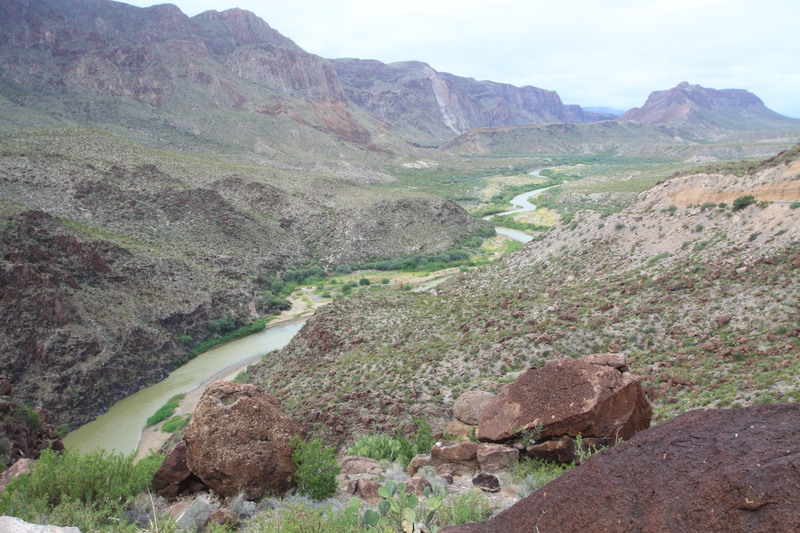 Wednesday, we drove FM 170 to Big Bend Ranch State Park. 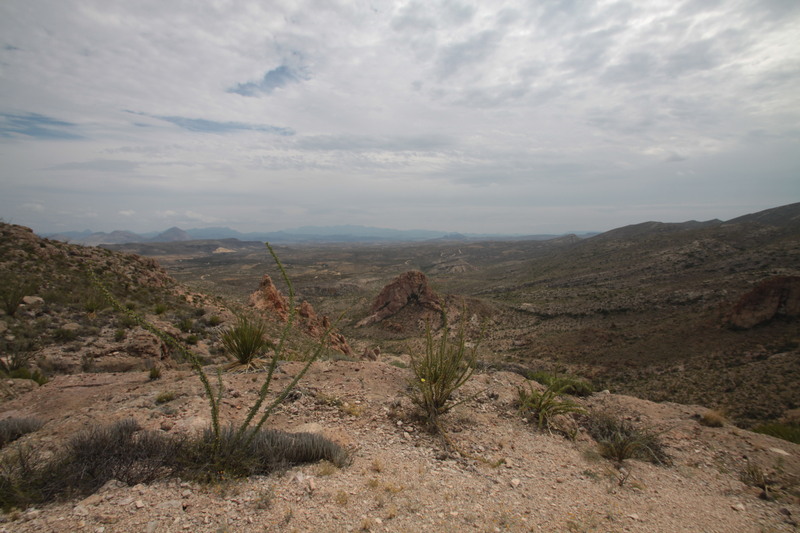 The drive from Lajitas toward Presidio has my vote for the most scenic drive in Texas at any season. If it’s not number one, it’s definitely in the top 10. Rocks, canyons, mountains, river. 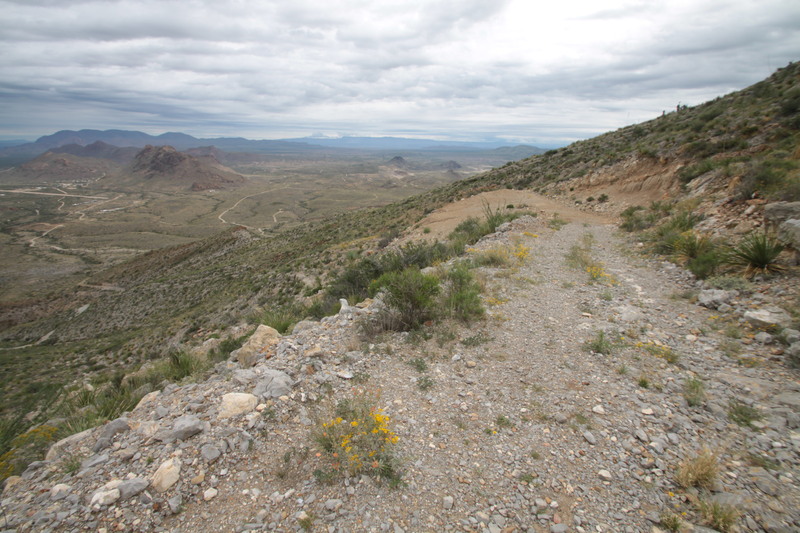 The road into the Ranch is gravel, maintained, but not smooth. Speed limit 25 mph. On the smooth sections, you can get up to 40. Check in and pay our fee at the ranch house at Sauceda, lunch and a shower, then off into the back country. More rough four-wheeling in and out of The Solitario. Finally back out to paved road at about 7 p.m. Reached Lajitas at 8 only to meet Ed in his truck coming to look for us. We finished the day with some good pizza and a couple of pitchers of beer and a conversation with the waitress that would be hard to duplicate or explain but very amusing just the same. Thursday, the national park is finally open! 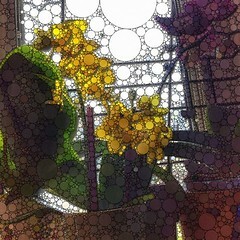 Breakfast at Espresso….y poco mas. Then into the park. 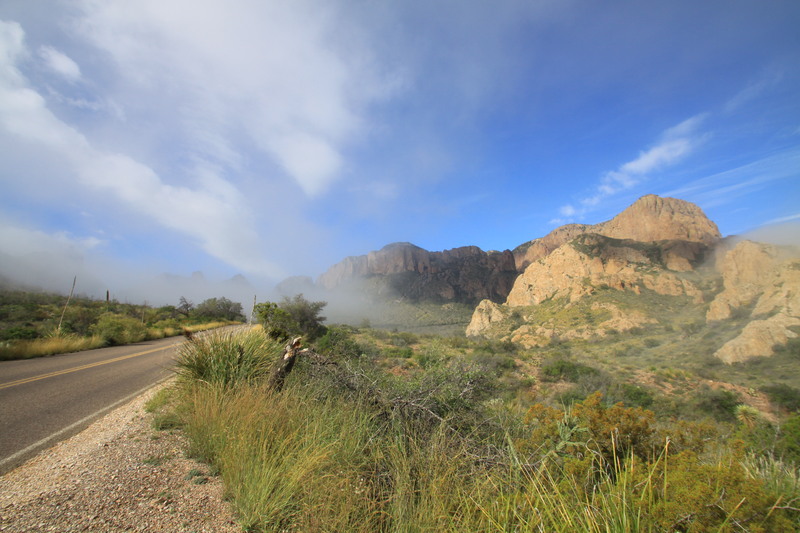 Clouds hanging low over the Chisos and we drove through them on the way up. We decided to do the Window hiking trail. 4.4 miles round trip but it’s a mile and half down and 4 miles back up. 500 foot elevation change. We were the first people down the trail since the federal shutdown. The only footprints on the trail were the four legged kind, deer, bobcat, fox, one or two we didn’t know. Saw several tarantulas and a couple of vinegaroons. 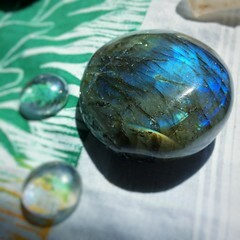 The rocks at the pouroff are worn shiny and smooth by the water and debris running off from the basin. There were actually deer prints over our footprints going in when we came out. The rocks are worn shiny and slick with runoff, this is the only place for water to drain from the Basin area. Lunch at the Basin Restaurant, they didn’t have any cobbler, but Ed got over it. Good burgers and chicken sandwich. 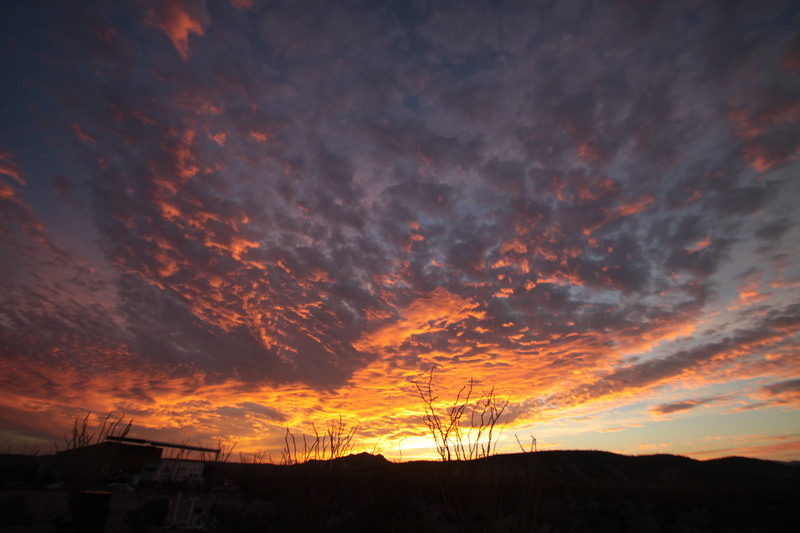 We got back to Terlingua and hung out on the porch a while and listened to some good tunes until it was time to head back to the rancho. The moon is one day from full so it is very bright. 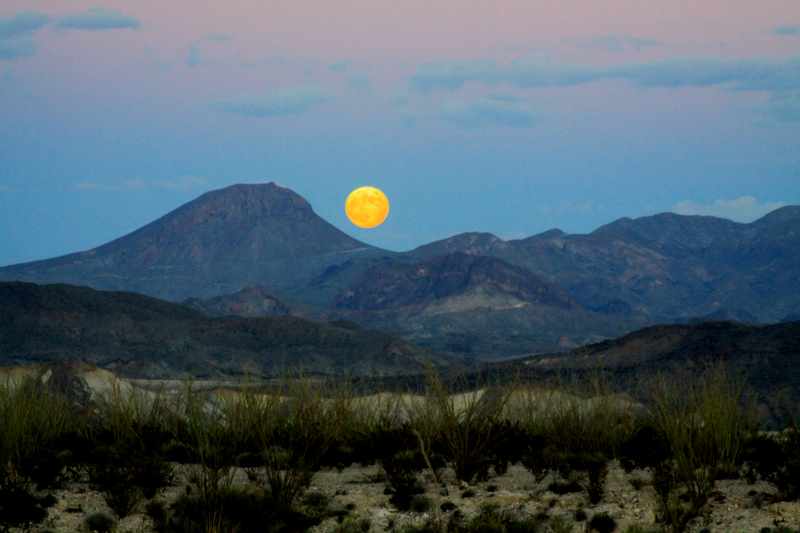 After dinner on the grill, we turned the lights off and admired the desert by the light of the moon. Another chilly night, then up at the crack of dawn and Brian and Ed head off for a day of epic motorcycle riding. Not being a rider and not being willing to ride two up on his dirt bike, I have the day to myself. Ed’s ex-girlfriend has made it back to the desert and I am going to try to meet her somewhere and hang out since she and I were friendly before the split up. There’s enough humidity in the air, condensation is running off the roof to drip into the water barrel at the ramada. Brian and Ed left and I had the place to myself. Walked around, coffee in hand, enjoying the small sounds of the desert and the morning sun. 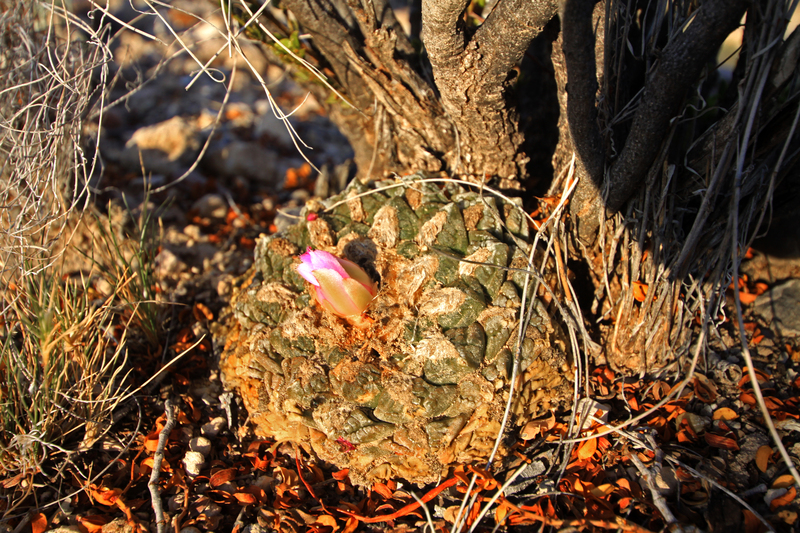 I found another living rock cactus on the property because the morning sun was shining under the creosote bush it is living under and I saw that little splash of pink of the flower bud about to open. This cactus is a little over 4″ across and may take 80 years or more to reach this size. I headed into town for a shower and to meet Elzi. The shower was nice and I ran out of things to scrub before I ran out of water, it was nice to just stand there under the running water. Met up with Elzi at Espresso…y poco mas. We sat and talked, and talked to the other patrons and sat there until it was lunch time so we had lunch. Very nice salad. They closed down so we walked up into the ruins and restored buildings behind the trading post. We had a very nice visit and then it was time to head back to Ed’s place. I stopped at the Cottonwood Market and got dinner stuff. Cooking on the grill and suddenly the full Hunter’s Moon popped up over the horizon. Grab camera and start taking pictures. We ate dinner under the ramada and watched the moon and heard a flock of Sandhill Cranes fly over heading south. Not much wind so Ed proposed a fire in the fire pit which we hadn’t done yet. We sat and talked about nothing until the fire burned low and it was time to spread the coals and say good night. The wind kicked up quite a bit a couple of times and once I heard what sounded like people walking around the camper. Maybe it was javelina, maybe it was coyotes or deer or maybe it was the ghosts of miners wandering the desert. Saturday morning and it’s time to pack up and head back to the city. Sad time. We’re just driving to Monahans to spend the night, four hours driving so we have a short day tomorrow too, just 6 hours. The ravens circled to see the commotion and said goodbye. I almost cried at the thought of returning to the world as it is back home. On the drive to Monahans, we saw a flock of Sandhill Cranes landing near a cattle feeding and watering hole. There were at least 20 of them. Camera was not at the ready so I didn’t get pictures. 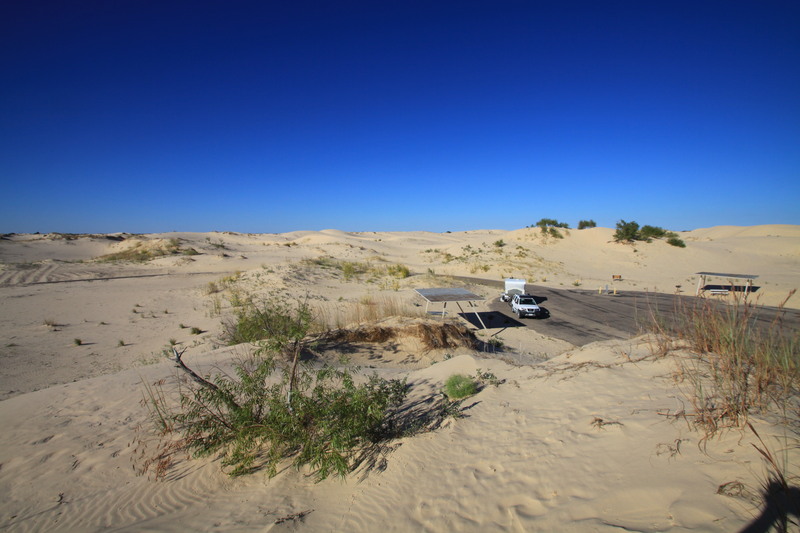 Got to Monahans Sandhills State Park about 4 and set up camp in the middle of a big sand pile. The camper goes up faster when we’ve had a little practice. 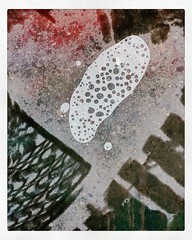 The trains and interstate traffic are noisy all night long along with other camper’s heaters and other things running. I miss the desert already. The predicted low temperature for the night was 47….it got down to 38 according to the local airport on Weatherbug. The propane ran out somewhere during the night so we woke up to a cold camper. It will be a Cliff bars kind of breakfast and no coffee until we hit the road. I was looking forward to a shower at the state park here that I don’t have to pay $2 for limited time and it was nice to stand in the hot water for as long as I wanted. Walking back to the camper I noticed the moon fade to the west with the rising sun. The adventure is over, fading with the moon. 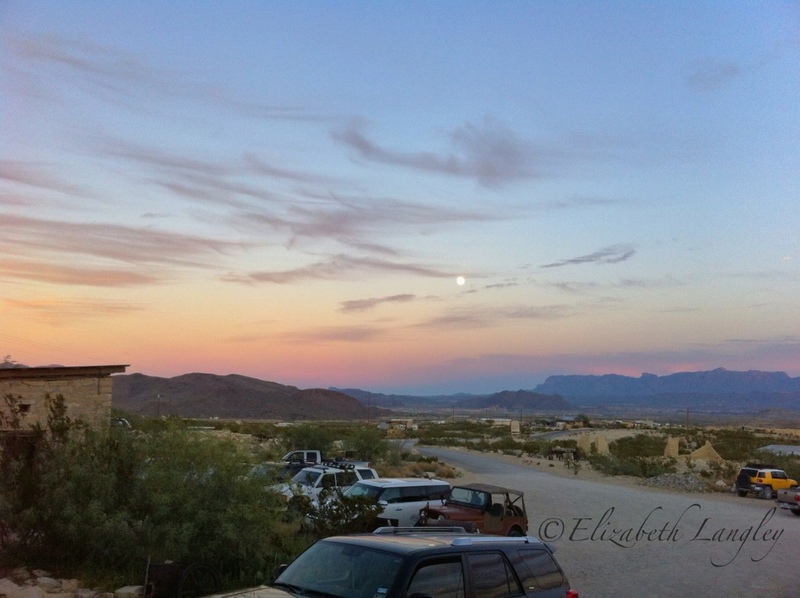 This is from the porch of the Terlingua Trading Post, with the nearly full moon rising between the Chisos Mountains and Christmas Mountain. When the alarm clock went off this morning, I wanted to shoot it…. I went to a famous place to get my hair cut, when they finished, it was rocking awesome. They wanted to take some photos in a studio setup. I wanted them to do my makeup too, but they weren’t concerned. They took pictures and wanted to do another shoot. It was a nice place, outdoors, and they picked out a fancy dress for me to wear, red carpet ready. And I wore the average size, so any dress fit me. (:-D) Hair still fabulous. I was concerned about having no makeup but they reassured me that wasn’t a problem, hair was what it was all about. The dress was great, high heels to match, I was all that. They took a few pictures, then brought in a male model to pose with me. He was an acrobat or dancer, that wiry, perfect body of an athlete that comes with movement and control. Six pack and everything. I was reclining and he did a flip and came to rest just brushing my chest. I moved my hands to touch his chest, with the perfect amount of chest hair. (It’s my dream, and I dream perfection) black hair, light skin, perfect teeth, vivid blue eyes. Your basic gorgeous male model, late 20’s, young, but old enough to be a man, not just a pretty boy toy. His name was never said. He moved and I lightly placed my hands on his back. He was shirtless but wearing loose pants of some kind. As he bent (yes, bent down to me, me wearing high heels, lol) and brushed my lips with his, he asked me did I tweet. He wanted to keep touch with me. I told him, sadly, I was old school, I only did Facebook. And once had a Myspace account that I wasn’t sure had been properly cancelled. He sighed. I knew that it was all pretend and anything between us was just posed for the cameras so I could enjoy his feathery touch without guilt. I told him how to find me on Facebook anyway. Last Thursday evening, my hubby stepped out to admire the evening and was approached by this little charmer. She walked right up to him and expected to be picked up and taken in and fed. So, he brought her in. She is temporarily living with us, I put “Found” signs around the neighborhood but no response. 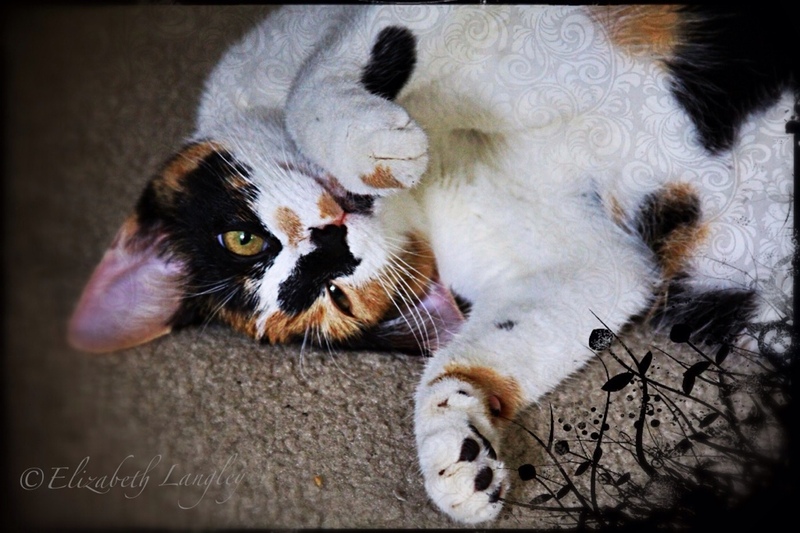 She’s maybe four months old, still has her baby teeth and sounds like a kitten. She’s getting along with the other three remarkably well but we do not need FOUR cats. 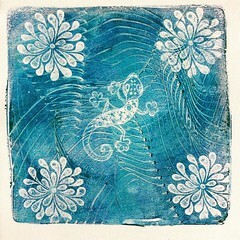 So, I am giving myself until Friday to find her a new home.